Tom Price, President-elect Trump’s pick to head the Department of Health and Human Services (HHS). Photo credit: District Office of Tom Price. On Wednesday, the Senate will hold hearings on President-elect Trump’s nominations of Tom Price to lead the Health and Human Services Department (HHS) and Scott Pruitt to lead the Environmental Protections Agency (EPA). These nominees are a threat to women living with and at risk of breast cancer; both men have a track record of putting corporate profits before public health. Call the Senators holding these hearings TODAY! Tell them to do everything in their power to block Price from leading HHS and Pruitt from leading the EPA. 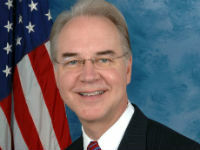 Price is a pro-industry Congressman who opposes the Affordable Care Act and whose proposed replacement plan would reduce access to health care for millions of people. His numerous stock trades in over 40 medical and health-care companies have also raised concerns about his potential conflicts of interest. We need an HHS Secretary who is going to work to expand access to affordable, quality, evidence-based health care—not eliminate it! Scott Pruitt, President-elect Donald Trump’s pick to head the Environmental Protection Agency (EPA). Pruitt is an anti-regulation, anti-science, corporate crony who has consistently worked with corporations that expose us to toxic chemicals in order to attack—and even sue!—the EPA (yes, the very agency he would run). We need an EPA Administrator who is going to work to prevent cancer and protect patients by eliminating our exposures to toxic chemicals. Together, Price and Pruitt threaten our work to achieve health justice for all women at risk of and living with breast cancer. We all need high quality, affordable healthcare and protection from toxic chemicals; and we know low-income communities and communities of color would bear the brunt of these nominees’ harmful agendas. Stand up for women’s health NOW! 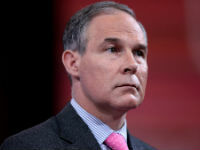 Click here for information on how you can oppose Price and then click here for information on how you can oppose Pruitt before the hearings TOMORROW! Now’s the time to take a stand and help block these anti-public health nominees.